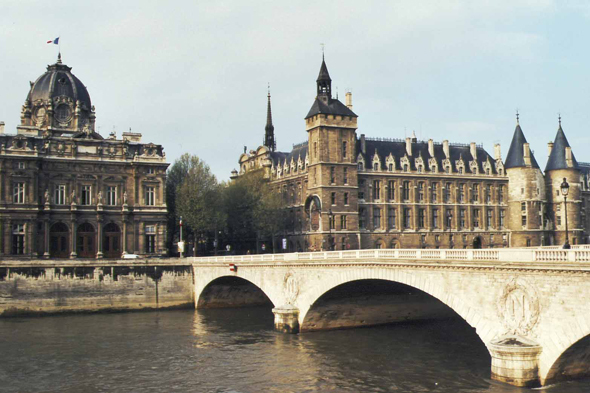 The Palais de Justice and Conciergerie. The Palace is the seat of the civil and legal authority, and was the residence of the Roman governors, the Merovingian kings, of the children of Clovis, the monetary workshop of Dagobert and the fortress of the Count Eudes during the Norse invasions. Two twin towers and the oldest part of the palace. the Conciergerie became under the Revolution, the anteroom of the guillotine, and sheltered until 1200 prisoners at the same time.